You can also receive push notifications via Pushover. 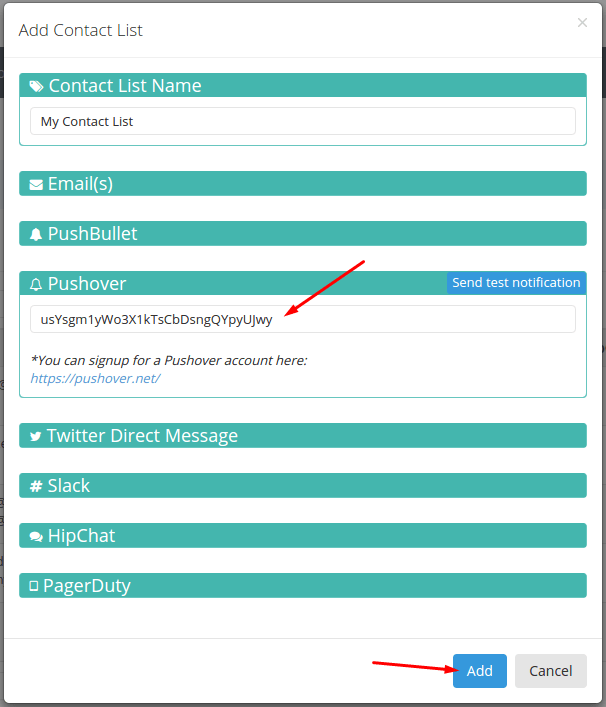 Once you’ve got your Pushover account, get your User Key, located right on the next page once you log into your Pushover account (same link as above). If you have any other questions about Pushover be sure to read their FAQ: https://pushover.net/faq or contact their support.